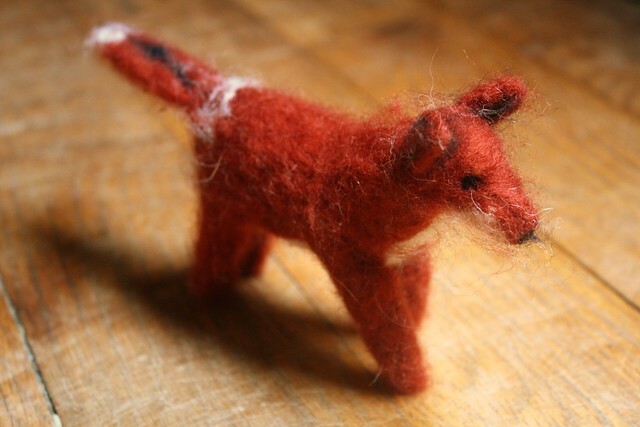 i wanted to share this gorgeous felted fox that azalia received from our dear friend for her birthday. colden also received one for his birthday, but it must be hiding in its fox den somewhere! felting is not my forte, so i am even more impressed with these lovely creations. they feel so nice to hold and they stand so well on their own. isn't it just darling?